What does a non-negative drug result mean? Is it the same as a positive result? As the name implies, a non-negative result on a drug screening device means that the test wasn’t negative; an amount of substance was detected. It could be a trace amount and within the margin of error, but as it’s not negative it will need confirmation analysis back at the laboratory. In other words, the drug screening test has been failed but further analysis is needed to confirm what substance has been taken and in what quantity. 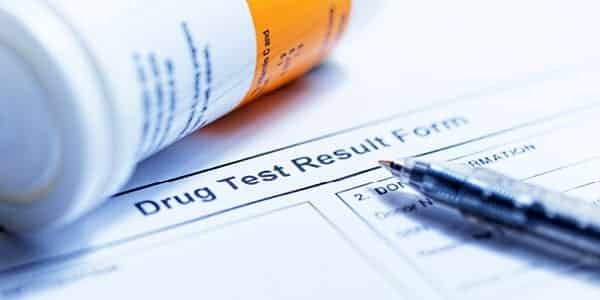 An immediate negative result whilst undergoing workplace drug testing is obviously the best outcome for both employee and employer as it usually means that no further action needs to be taken. If an employee receives a non-negative test result, he or she must be informed and immediately cease all safety-critical functions. AlphaBiolabs is proud to provide the fastest laboratory results available. Same day results can be provided if required to minimise any absences from work and alleviate anxiety to the individual concerned. Why is confirmation testing needed? Any instant drug screen, whether the sample is oral fluid or urine, is important to rapidly detect the presence or absence of a drug or its metabolites. This is an important first step and is a much quicker and cheaper option than simply sending all biological samples to the laboratory for testing. A non-negative result requires confirmation testing from the laboratory to determine exactly what drug was taken and the quantity present. Each drug has its own unique chemical structure and therefore has a different molecular ‘fingerprint’. Because of this, when the various drugs travel through the analytical technique of liquid chromatography-tandem mass spectrometry (LC-MS/MS), they each move at different speeds and fragment in a unique pattern. This means that each drug is unequivocally identified and measured in ng/mL. AlphaBiolabs is an accredited laboratory and follows the guidelines and cut-off values set out by the European Workplace Drug Testing Society. These cut-off levels refer to the minimum concentration of drug in a sample, which can be deemed positive. A positive result means that the drug concentration is greater than the cut-off limit for that particular substance. A positive result means that the drug has been used but will not indicate frequency of use or when it was used last. It may be that following confirmatory analysis, the sample is under the cut-off level and is subsequently reported as negative. • Negative. This means a result below the nominated level used for initial screening. • Non-negative. This is an initial positive result obtained using a screening device, which is then subject to confirmatory testing by the laboratory. • Positive. This is where a non-negative screening result has been subsequently confirmed positive by a testing laboratory. AlphaBiolabs can create a bespoke workplace drug and alcohol testing programme for your business and implement this policy for a fully managed solution. For a consultation with no obligation, or information on any of our workplace testing services, call us on 0333 600 1300, email at info@alphabiolabs.com, or visit our website at www.alphabiolabs.co.uk.